Close up of original mesh produced by calulating a softbody simulation with blenders physics engine. 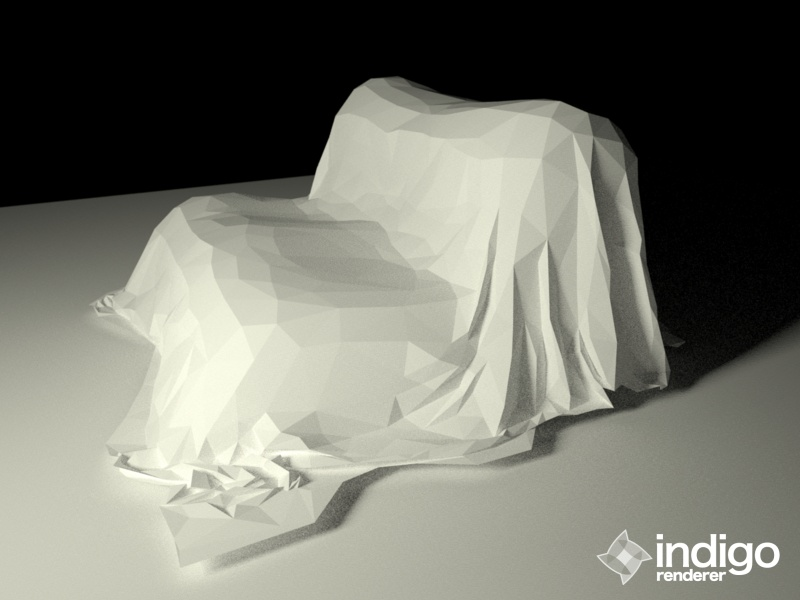 At this point, the number of vertices is way to high to be used as a part of a scene (1.8 mio vertices). The caluclated difference between the the smoothed low-poly and the high-poly version as a normal-map, using blenders 'bake to texture' functionality. The normal-map applied to the smoothed low-poly model. Apart from some noise, it looks almost the same as the starting model, but uses about 200 times less polygons and therefore is much fast to render. Enhanced normal map by overlaying an additional fine detail normal map from other source (an old blanket thrown on the floor, photographed and post-processed). Low-poly model with enhanced normal map. 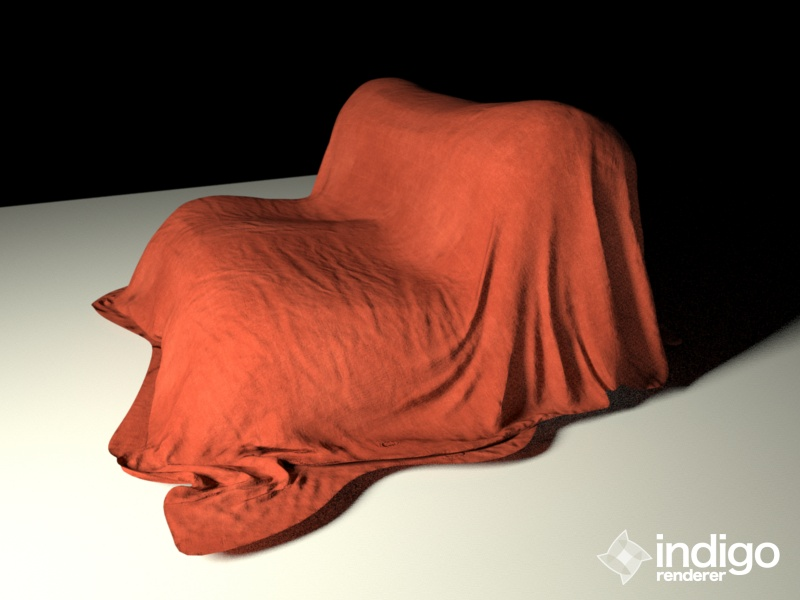 Final low-poly model with additional fine detail normal map defining cloth texture and albedo texture.